The Blue Knights® Intl LEMC, Nebraska Chapter II came together and in different parts of the country to support National Police Week. National Police Week was designated by President John F. Kennedy to fall on the week that included May 15 each year. 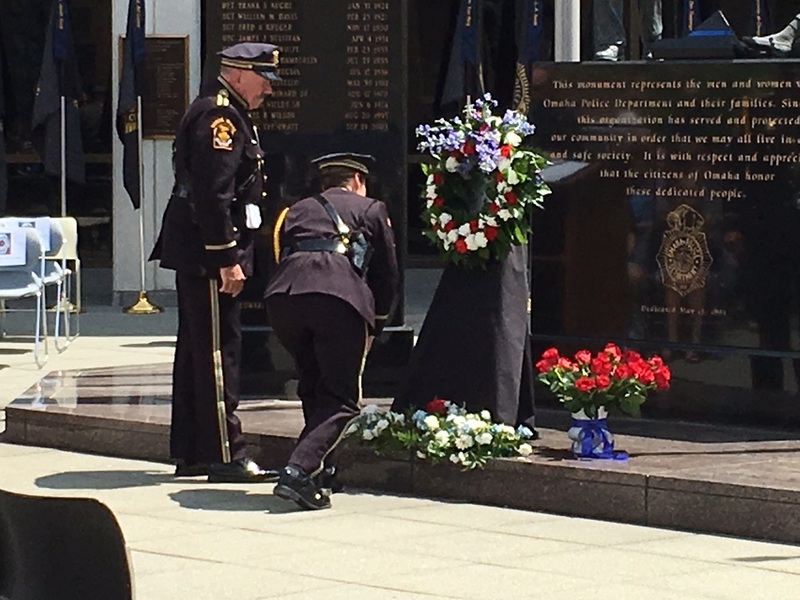 The Joint Resolution was approved by Congress on October 1, 1962 to have the President Designate May 15 of each year as Peace Officers Memorial Day. Each year many Law Enforcement Officers from every branch place themselves in harms way to protect the citizens of their communities. 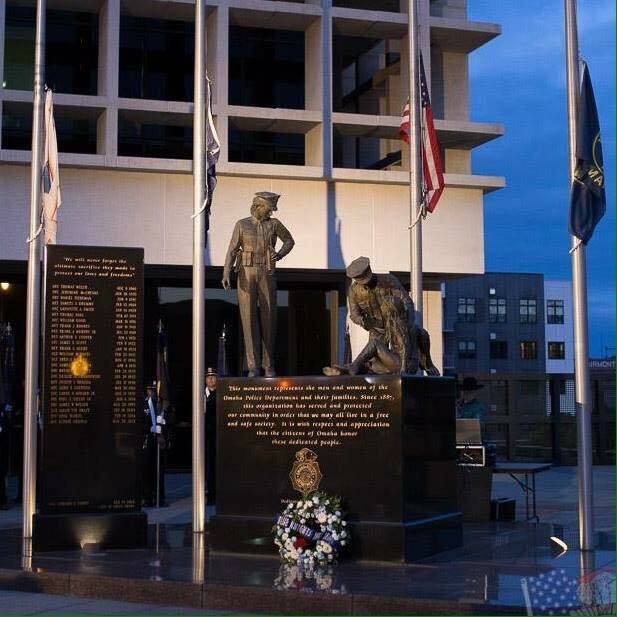 Many of those Officer’s never return from their tour of duty and this year 123 Law Enforcement Officer’s names were added to the National Memorial in Washington D.C.. One of those names was Omaha’s own Det. Kerrie Orozco. With her name being added, several members of the Omaha Police Honor Guard which include Nebraska Chapter II Vice President Corey Clements were on hand in Washington D.C. to participate in several of the events. In Omaha several members gathered at the numerous events happening within the City. Friday members gathered with Omaha Police Officers at Omaha Headquarters and participated in the Vigil. Sunday many members rode in together to participate in the Omaha Police Memorial Service and unveiling on the two Omaha Police Officers who were Killed in the Line of Duty, Det. Kerrie Orozco and Ofc. Greg Hamill. Blue Knights® Intl LEMC, Nebraska II salutes each and every Officer both past and present for their devotion to duty and their community!